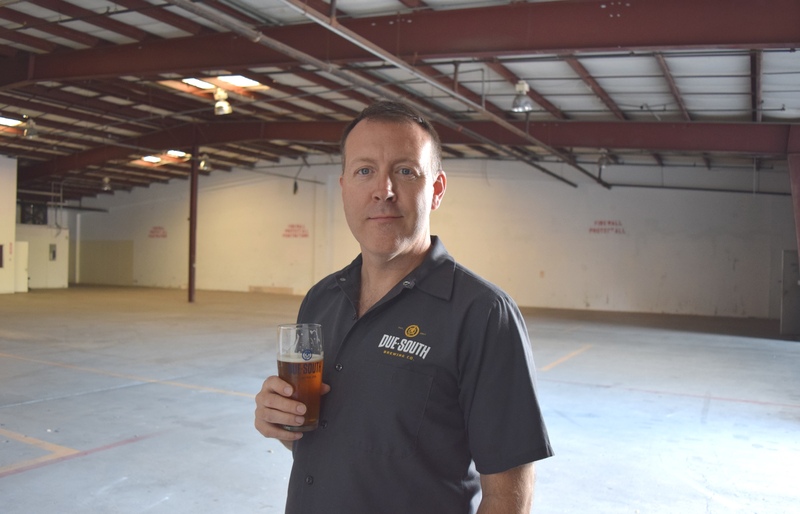 Due South Brewing Co. has announced an expansion of their current facility, annexing 12,000 additional square feet of the adjacent bay. Combined, Due South will total over 27,000 square feet. Open to the public since 2012, Due South has always had a production focus. The current tap room continues to shrink as the need for more brewing space grows. This expansion will allow for growth in both areas. The new space will be used for an indoor beer garden, a large air conditioned tap room, a dedicated area for barrel aging and additional offices. There will also be a separate area for expansion of the new ‘Due South Sour Project’. The architects are currently working on the layout and the new facility is expected to be open in early fall. About Due South Brewing Co.
Due South Brewing Co. is a distributing brewery in Boynton Beach, FL. Due South beers are currently available on draft and in cans in hundreds of bars, restaurants, and stores in Florida from Jacksonville to Key West. The Due South Brewing Co. tasting room & brewery opens to the public daily at noon except Monday when it is closed. Weekends at the brewery include food trucks and tours. For more information, visit www.DueSouthBrewing.com.